North Korea says it doesn't know who is behind the massive and embarrassing hack of Sony Pictures. But the government sure isn't upset it happened. Hackers recently stole and posted online over 100 terabytes of data from the studio, including full movies, private employee records and revealing internal memos. The attack is one of the most consequential in history and some experts theorized it was retaliation for an upcoming Sony movie about the country. KCNA -- North Korea's state-run propaganda arm -- applauded the attack. "The hacking into the SONY Pictures might be a righteous deed of the supporters and sympathizers with the DPRK," it said, using the acronym of its official name, the Democratic People's Republic of Korea. "The hacking is so fatal that all the systems of the company have been paralyzed, causing the overall suspension of the work and supposedly a huge ensuing loss." North Korea's response was riddled with anti-U.S. and anti-South Korea rhetoric. The statement didn't outright say the North Korean government was not responsible. But KCNA called North Korean involvement "a wild rumor" and the government suggested it couldn't be behind a cyberattack on "a country far across the ocean." "We do not know where in America the SONY Pictures is situated and for what wrongdoings it became the target of the attack nor we feel the need to know about it." Experts point to several signs of North Korean involvement. They say there are similarities between the malware used in this attack and a different cyber blitz against South Korea. Both were written in Korean, an unusual language in the world of cyber crime. Sony (SNE) is also about to release a comedy about an assassination attempt on North Korean leader Kim Jong Un. 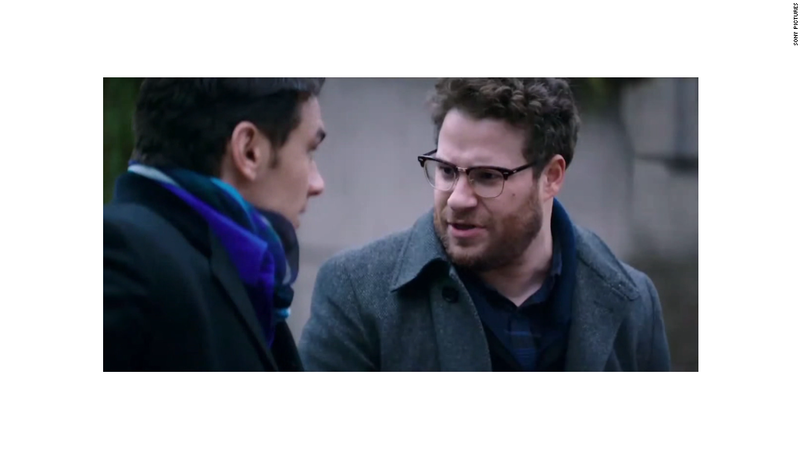 In June, North Korea said it would view the Seth Rogen and James Franco movie as an "act of war," and on Sunday, it said the movie depicts "a terrorist act while hurting the dignity of the supreme leadership of the DPRK." --CNNMoney's Jose Pagliery contributed to this report.